VANCOUVER — A house fire in the early morning hours Sunday displaced six at a residence in Vancouver. 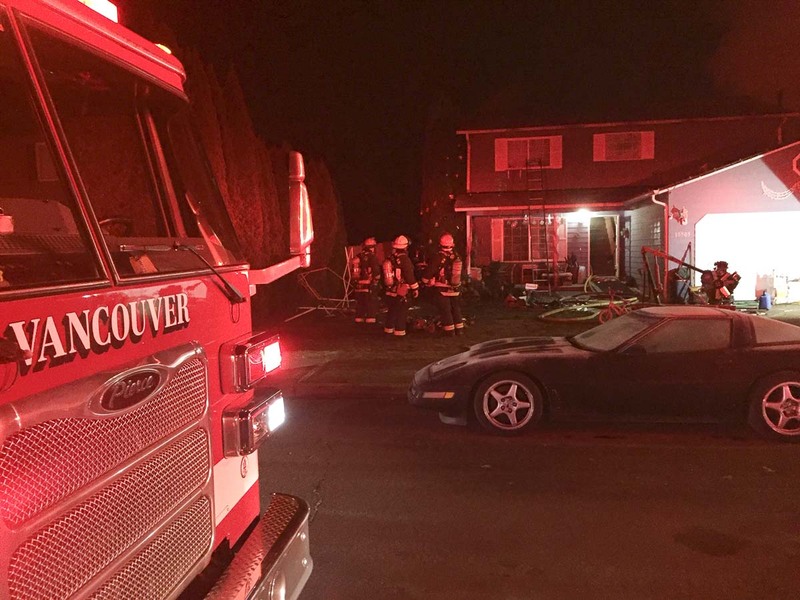 Crews from, the Vancouver Fire Department, American Medical Response (AMR) and Fire District 3 responded to the house fire at about 1:50 a.m. Sunday. The first unit arrived in seven minutes to find a fully involved shop fire that was extending into a two-story single family residence at 15505 NE 83rd St.
Twenty-one firefighters had the fire under control in 18 minutes, saving the main house. Four adults and two children were displaced by the fire and were taken in by neighbors. No one was injured. The Clark County Fire Marshal’s office was on scene to investigate.